Clairy Browne and The Bangin' Rackettes perform at Central SAPC in Santa Monica. U.S. audiences are finally able to see the latest sensations from Australia - Clairy Browne & The Bangin' Rackettes, whose criticaly acclaimed debut album Baby Caught the Bus was named "Album of the Year" by ABC Radio National in their native Australia. Now, that same album will finally get its North American release on May 21 from U.S. label Vangaurd Records. 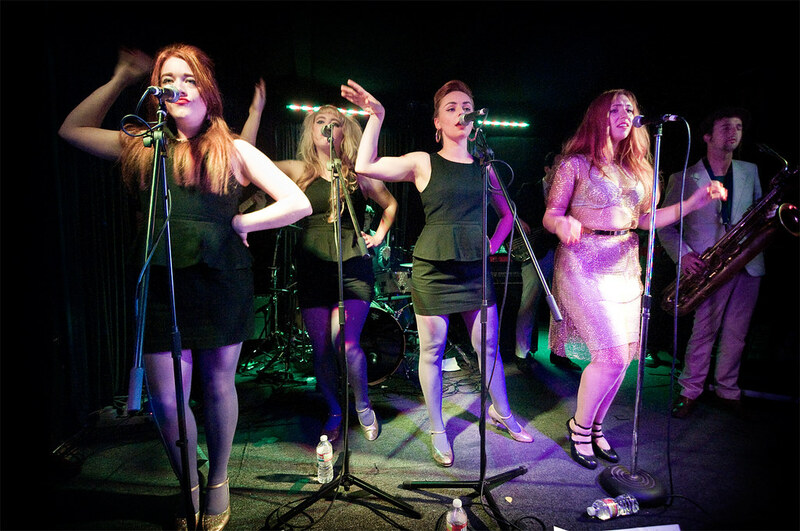 Most recently, Clairy Browne & The Bangin' Rackettes have caused quite a stir after launching their U.S. tour at Austin's SXSW with press and audiences praising their performance. Clairy Browne and the Bangin' Rackettes put on a fresh twist on the classic doo-wop harmonies by fusing them with breathless beats of soul and jazzy melodies. And with the nostalgic big band sound that includes the jazzy horn section and free-wheeling pianos, it's no wonder why Clairy Browne has been a sensation in her native Australia. Soulful vocals that bring up comparisons to Amy Winehouse, Browne's voice is also spiced up with flirtatious rockness that gets crowds dancing especially in songs like "Baby Caught the Bus," an infectious tune set to the The Rackettes' silky, smooth harmonies while "Love Letter," the international hit single which was hand-picked by Heineken for their commercial "The Switch." But Browne shines when she slows down the tempo during her sultry ballads, singing with proud, vulnerability in "Vicious Cycle" and "Yellow Bird," accented by bluesy horn section. Be sure to catch them when they hit West Hollywood's Troubadour on April 9th which will be taped for "Last Call with Carson Daly." . The rest of their tour dates are below. Also, check out the official music video below for their hit song "Love Letter."